Fondation Segré is engaged in a worldwide programme supporting the IUCN Tapir Specialist Group in its efforts to protect the four species of tapirs, of which the Baird’s tapir (Tapirus bairdii), Mountain tapir (Tapirus pinchaque) and Malayan tapir (Tapirus indicus) are listed as endangered in the IUCN Red List, whereas the Lowland Tapir (Tapirus terrestris) is listed as vulnerable. The main threats tapirs are facing are high hunting pressure, habitat fragmentation resulting in reduced genetic diversity and home range, and disturbance by subsistence farmers and illegal loggers entering protected areas. In order to address and reduce all these threats, the program develops five individual projects. The Guatemala Baird’s Tapir Conservation Programme aims at improving the effectiveness for this species’ conservation through the development of conservation tools for NGOs and government agencies, the standardisation of a population monitoring system, the improvement of surveillance in key protected areas, and the involvement of local actors into conservation actions. The main objectives of the Nicaragua Baird’s Tapir Project are to gather more data on the spatial ecology of tapirs in order to produce a national Tapir Conservation Action Plan; mitigate the hunting of crop-raiding tapirs through the development of agricultural systems that deter tapirs from entering crops fields; and build local capacity on tapir conservation. 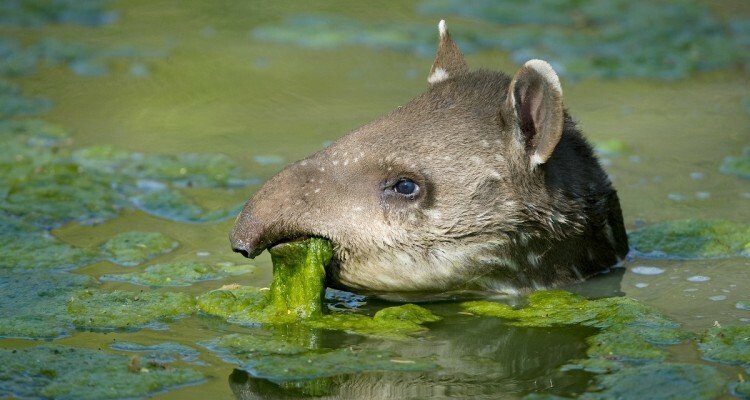 The project aiming at producing a New Conservation Assessment of Mountain Tapirs and their Habitat in Colombia mainly deals with scientific research to determine the current distribution and produce a rough estimate of the species population, and to assess current threats to the species. Ultimately, these data will be used to design a strategy to mitigate threats to Mountain’s tapirs and a general conservation plan for the same area, and to raise awareness about their conservation status. The Lowland Tapir Conservation Initiative: Cerrado Programme main goal is to evaluate the impact of threats (deforestation, road-kill, poaching, fire, agriculture etc.) on small tapir populations and designing strategies to mitigate those threats, while identifying ways to conserve the remaining habitat. The project will use tapirs as ambassadors for conservation, applying its scientific findings to catalyze habitat conservation and protection, environmental education, communication, capacity building, and scientific tourism initiatives. In Sumatra, the Conservation of Malayan Tapirs in Fragmented Landscapes Project aims at ensuring that Malayan tapir populations are effectively protected in the fragmented landscape of the selected study area. The project includes field research, development of best management practices focusing on conservation friendly activities in palm oil plantations and delineation of dispersal corridors for Malayan tapirs, and public awareness.